Before the advent of the internet and different applications, it was very difficult to find out what people thought about a company or brand. Yes, sales of products and services said a lot but the brands representative had to go out and get opinions and research on what people were saying about the brand or company. Documents such as surveys and questionnaires were taken around and distributed and it took some time to compile the results. Brand24 lets you discover what people are saying online about your particular brand. It gives you instant access to all the mentions about your brand across the internet, from social networks to also influential publishers. You can now easily Identify people with the most social influence, do a proper sentiment analysis of your brand and also easily segment by positive, negative, or neutral mentions. The Brand24 app aims to give you access to all the current and existing references about your brand or company. 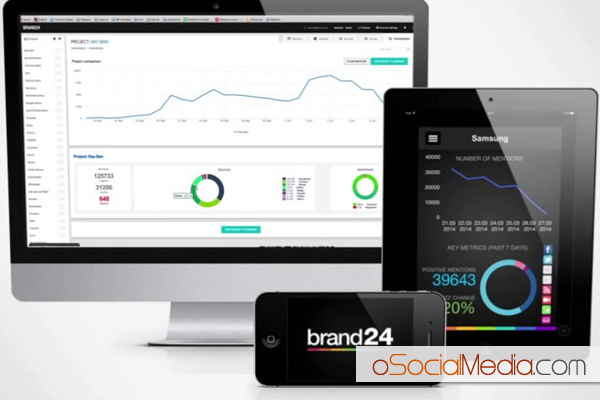 Brand24 is an influential and powerful, yet very affordable tool for real-time social media observation and analysis. It is designed to keep track of all online conversations about your company, brand and also products. Brand24 collects real-time social data from millions of sources. Brand24 lets you engage with all real-time comments that are made about your brand. You can follow-up on all the positive comments about your brand ambassadors and other customers and you can also respond to a dissatisfied customer before the story gets ahead of you. It also gives you the option of collaborative work. You can share Brand24 projects, alerts and results across teams. It furthermore also lets you group. So you can group results related to specific topics, keywords and word-clouds. It is reported that 80% of consumers do research or ask online before making a buying decision. Brand24 therefore gives you all the listening tools to find out where these leads are coming from. This will help you identify where to promote your products and also help you find customers before they find you. Brand24 also lets you do a social search. Therefore, you can search the internet for key topics, trends and also discussions. Furthermore, it also helps you find out competitor knowledge. 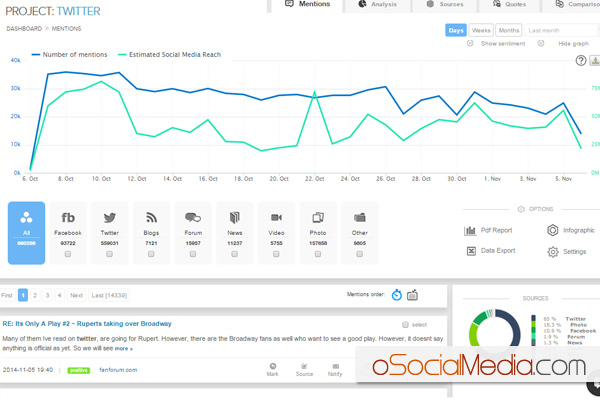 It helps you monitor and compare social mentions against your competitor thus allowing you to up your game and stay on top.